Whether you're taking off on a spontaneous weekend trip or carpooling to the beach - travel in style with compliments guaranteed! This chic travel bag features an adjustable and removable shoulder strap, pretty pattern and gorgeous vegan leather accents. 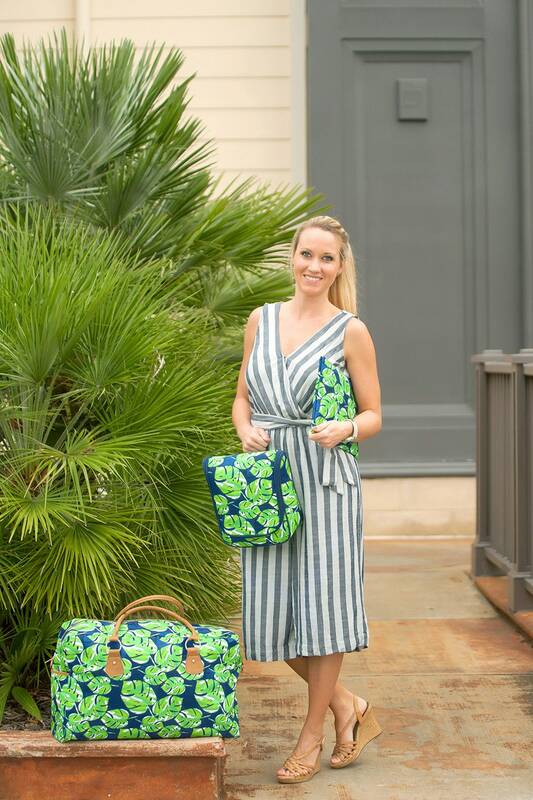 Comprised of navy and green with a hint of white, the Lola pattern's rich color pallete features fun tropical palms that add a fun touch.